The holiday season provides us with the opportunity to come together and to learn from each other. It’s a time to not highlight our differences but to be inspired by them. It’s a time to rejoice in our similarities and use any knowledge gained to create our own unique stepfamily experiences, as we evolve and grow as individuals. Though it can sometimes feel like “surviving the holidays” is the best we can hope for, we can make sure our stepfamily holidays are full of fun, laughter, play, food and family. And for all of us, of course, gifts! 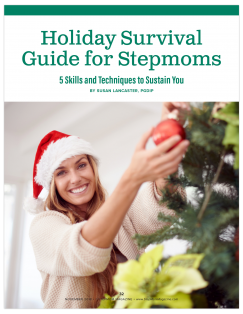 What if you were to seek out the very best gift—the perfect gift—to give your own stepfamily? One that’s a great fit for everyone? That would certainly make things easier. Learning the skills and techniques which will sustain you through the holidays isn’t impossible. In fact, that’s what you’ll learn here. We’ll start with the gift that costs nothing and is something we all need, want and desire. …To read the rest of this article, log in and download the November 2018 issue. Don’t have an account? Click here to subscribe.